We’re going to go out on a limb and guess that most providers don’t enter the field of medicine because they think dealing with the complex web of laws and payer policies that stand between the provider and getting paid for their work is a big ball of fun. We suspect that you, along with your colleagues, view it as a necessary evil, just part of the cost of doing business. We’ve even spoken with some providers who have chosen not to offer specific services, telemedicine in particular, because the obstacles to reimbursement are so difficult to overcome. Fortunately, we’ve solved the problem. 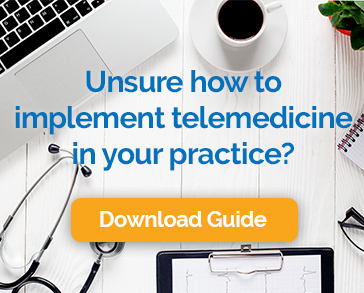 When it comes to telemedicine reimbursement, the landscape is incredibly complex. Twenty-six states have laws requiring payers to provide reimbursement for telemedicine under at least some conditions. Although payers are quickly coming around to the idea that video visits are a cost effective way to deliver care and keep patients healthy, their policies on reimbursement still vary widely. Understanding all of the nuances is just not feasible for many practices. We’ve solved this problem with a combination of telemedicine reimbursement experts and technology. Our team has spent years learning the ins and outs of getting paid for video visits. They also constantly check in with payers to be sure our information is up to date. This knowledge is translated into our Chiron Rules Engine, which verifies the eligibility of each patient for telemedicine visits at the time the appointment is booked. The Rules Engine is integrated with your EHR, so there’s no need for duplicate data entry or manual verification. The most exciting part is that we’re so confident that appointments we verify will result in payment, that if they don’t, we’ll pay you ourselves. That’s right. If a claim is ever denied, our team will work directly with the payer to get the issue resolved. If we can’t, we’ll reimburse you ourselves. We can take this bold action without fear because we do thousands of verifications each month. In the rare instance that we are unable to get reimbursement from the payer, we make changes to the rules engine to avoid the problem in the future. It keeps getting smarter by the week. We don’t like to work for free and figure you don’t either. With Chiron Health, you don’t have to worry that your telemedicine claims will ever go unpaid.